When I'm not making my own postcards I'm looking for fun designs to send friends. Where's Waldo? The Phenomenal Postcard Book fit the bill perfectly. This is one of the best postcard books I've seen. 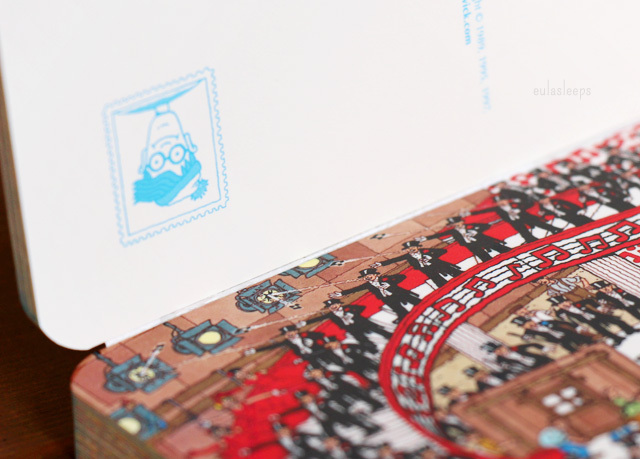 This is a great little book with 30 postcards featuring artwork from some of the best-loved spreads in the Where’s Waldo? books. 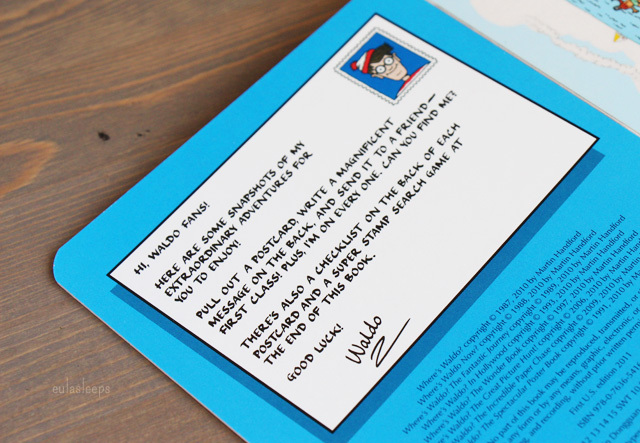 Like the books, each card features a 3- to 4-item checklist on the back, so once you've found Waldo you can find those as well. 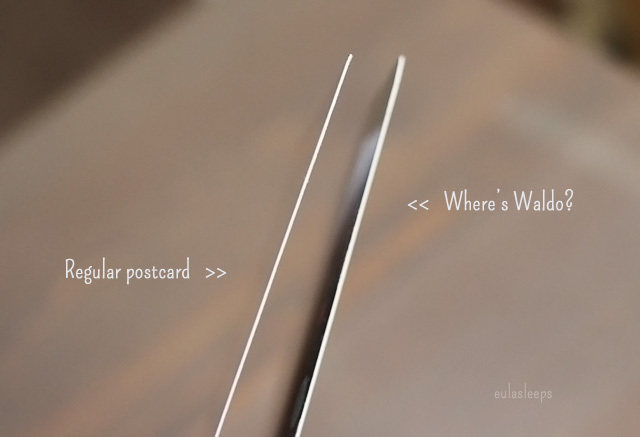 These pull-out postcards are bound in perfect binding, so the cards are easy to tear out with no rough edges. Printed on very sturdy, heavyweight paper, these will need a first-class stamp rather than the usual postcard stamps (as Waldo's note implies). Below are a few of my favorites. 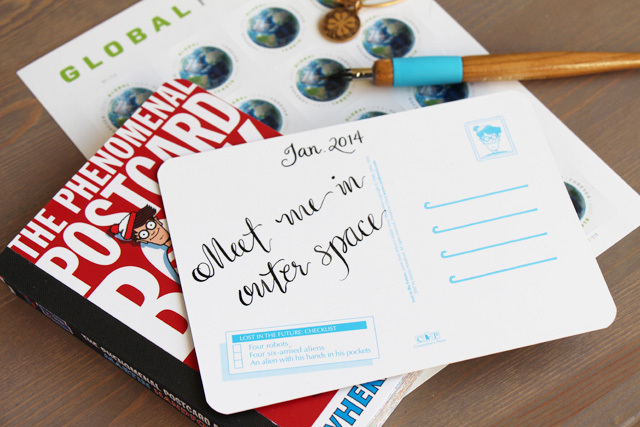 These postcards are super fun and perfect for sending on the go. A definite repurchase for me! They're also great for practicing my new hobby of flex calligraphy! ^^ If you've read this far, I feel you deserve to see this in person. So the first 5 people to send their mailing addresses to eula@eulasleeps.com will get a postcard. I just got a sheet of global forever stamps so it doesn't matter where you live, as long as it's on Earth -- send me that address! 5 addresses filled, thanks everyone! I got the Where's Waldo? 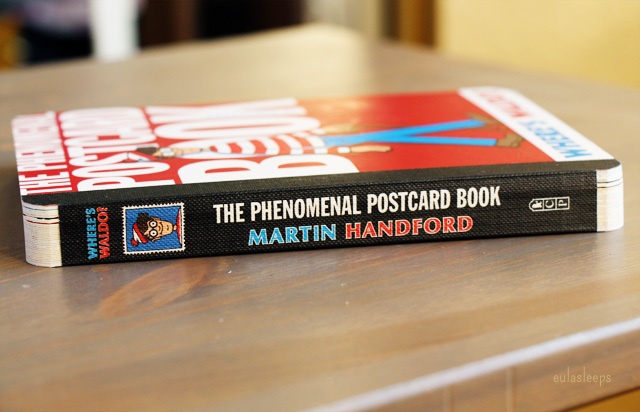 The Phenomenal Postcard Book for $8.99 at Amazon (affiliate link).